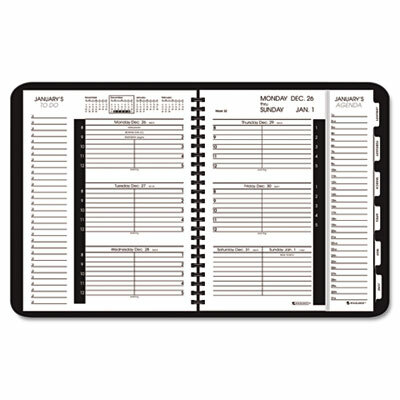 View appointment schedule, monthly agenda, and to do list all at the same time on weekly two-page spread. Tabs to monthly overview for quick reference. View appointment schedule, monthly agenda, and to do list all at the same time on weekly two-page spread. Tabs to monthly overview for quick reference.